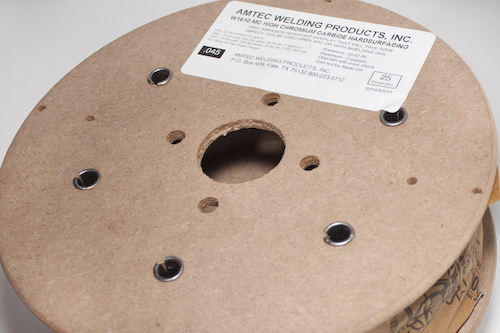 Amtec 2 Cast Iron MIG is a solid bare wire whose properties are of a full nickel metallurgical structure. It is designed for use on ductile, malleable and grey cast irons in all positions where easily machined welds are required. 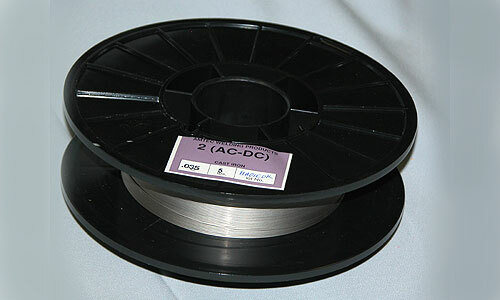 The wire may be used with the MIG process utilizing the spray, pulsed-arc or short-arc methods. Reverse Polarity with Constant Voltage is required for MIG applications. Argon/CO2 (75/25) should be used for MIG applications. 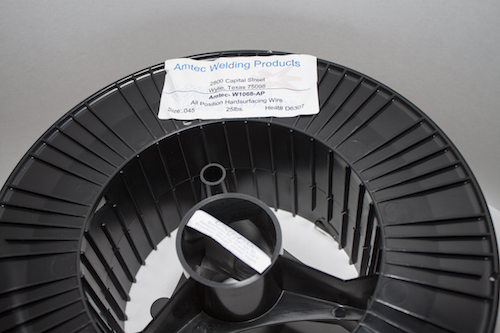 This product produces ductile welds, while maintaining high machinability. Amtec 63 is a high speed chromium carbide hardsurfacing alloy with 31% chrome content, and an alloyed core wire that has unmatched abrasive wear resistance on both heavy and light parts. The special metallic coating provides excellent welding performance, which permits obtaining a smooth surface. Despite high hardness, the deposit retains its toughness and wide weaving to 3 times the electrode size may be used without cracking. The deposit is machinable only by grinding. 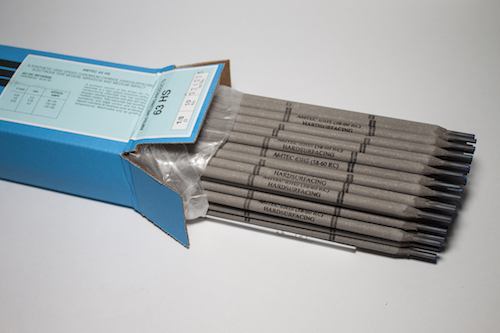 This electrode has tremendous edge control, and may be used on edges as thin a 1⁄2 inch without burn off. The high chromium content makesthe weld deposits maintain their resistance to wear even at elevated temperatures. 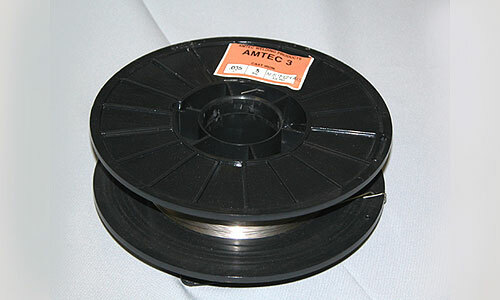 Amtec W1068 AP is a general purpose all position hardsurfacing wire. This product has a good balance of abrasion and impact resistance. It can be used for metal to metal wear as well as metal to earth abrasion wear.